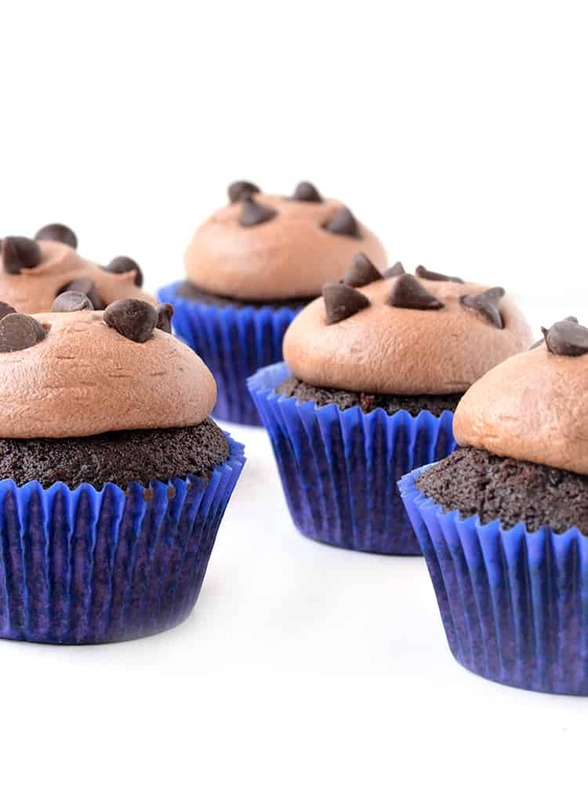 Soft and moist Chocolate Mocha Cupcakes topped with clouds of chocolate coffee frosting. These gorgeous cupcakes are perfect for sharing. This post is sponsored by Almond Breeze. I’ve got a coffee treat for you – perfect for your morning pick-me-up. 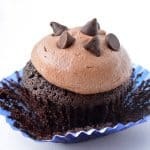 Soft Mocha Cupcakes topped with luscious chocolate coffee buttercream and showered with chocolate chips. 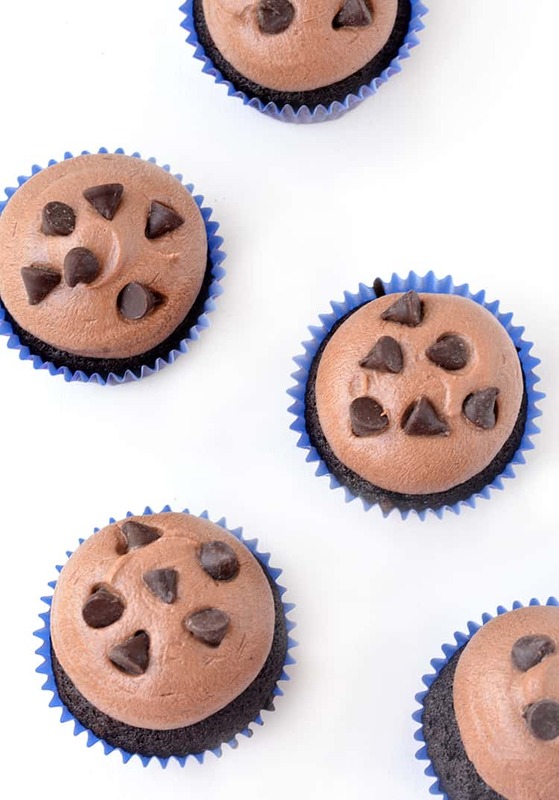 Today, I’ve teamed up with Almond Breeze to bring you my new favourite obsession: Mocha Cupcakes. Do you drink coffee? I’m actually one of those ‘weird’ people who doesn’t like coffee, but boy-oh-boy I wish I did. It would make life so much simpler. To make matters worse, I’m not much of a tea drinker either. All I can say is thank goodness for chai lattes and hot chocolates. Otherwise I’d be having some very uncomfortable coffee shop encounters. You know how people always say coffee enhances the flavour of chocolate? I never really believed them. UNTIL NOW. I’m completely converted. Let’s add coffee to ALL THE CHOCOLATE THINGS. So let’s take a look at this gorgeous cupcake. 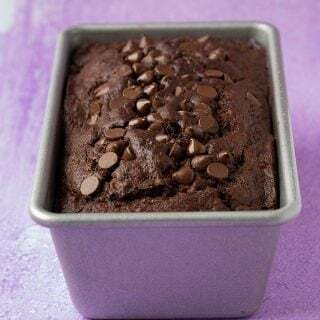 It starts with a delicious chocolate cake made with two special ingredients. One is Chocolate Almond Milk for more chocolate flavour, and two, is strong hot coffee. The result? 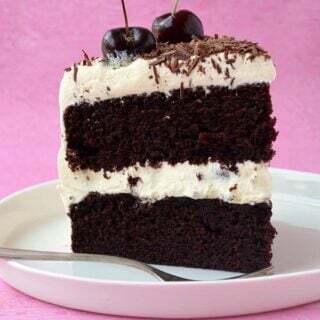 A tender chocolate cake that just about oozes with chocolate flavour. I’ve already eaten three and I’m completely sold. Coffee in chocolate forever. To make these Mocha Cupcakes extra irresistible, check out the creamy frosting 👆🏻 This buttercream is the bomb. (Do people say that anymore?) 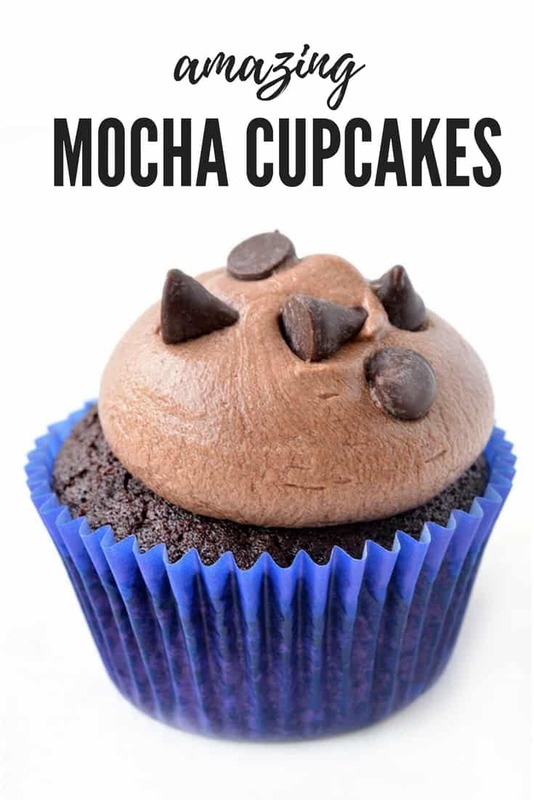 Made with cocoa powder and more hot coffee, it’s bursting with that rich mocha flavour. 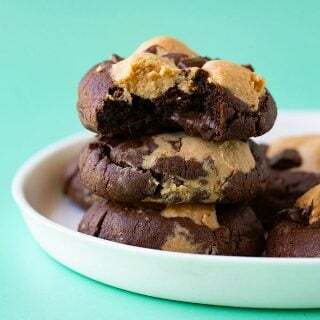 Add a few chocolate chips on top and you have the perfect coffee treat. 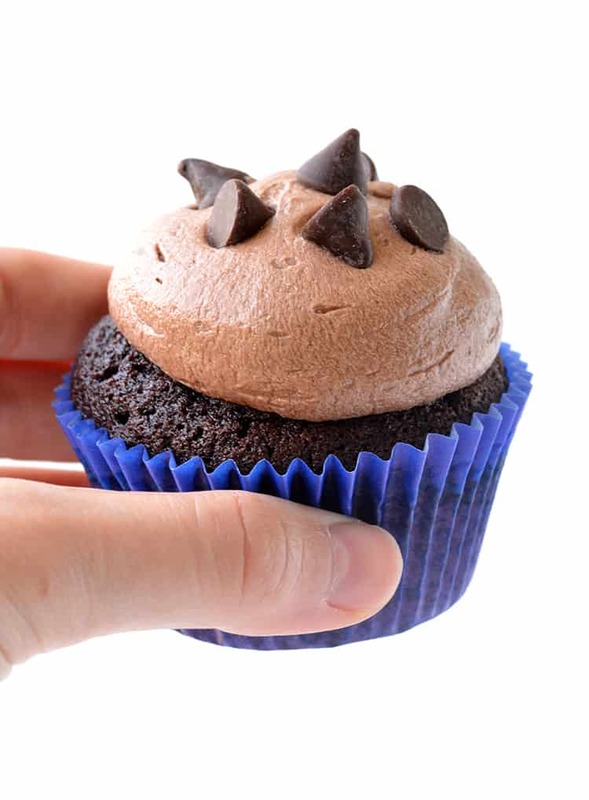 I’ve put together a quick video below to show you just how easy these cupcakes are to make. Have a great week! From a converted mocha lover. 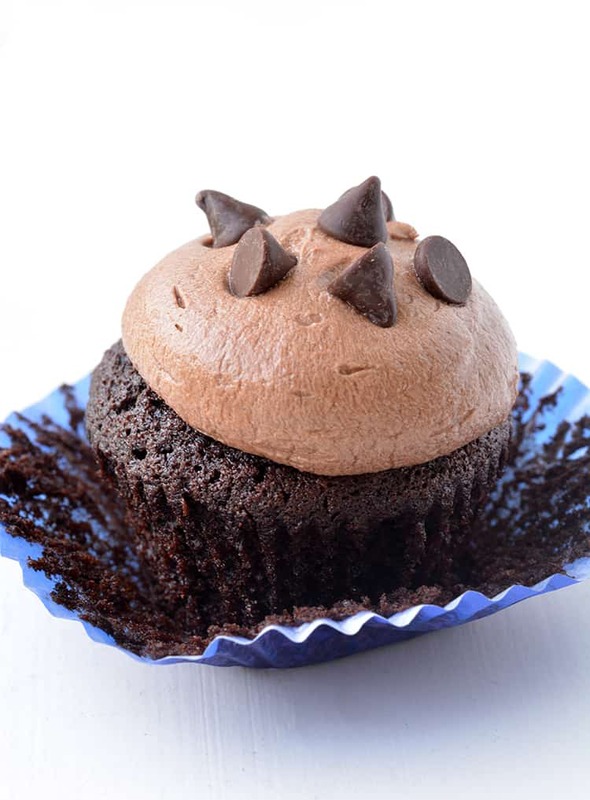 A delicious mocha cupcake topped with creamy coffee frosting and chocolate chips. Preheat the oven to 180C (360 F). Line a 12 hole muffin tin with cupcake liners. In a large mixing bowl, add the flour, cocoa powder, sugars, baking powder and baking soda and stir to combine. Add melted butter, eggs, vanilla and chocolate almond milk and slowly stir. Add hot coffee and stir until smooth. Spoon the mixture into cupcake liners and pop into the oven. Bake for approximately 18 or until just cooked through. Set cakes out onto a wire rack and leave to cool completely. Add softened butter to a large mixing bowl and beat with an electric mixer until smooth. Add 1/2 the icing sugar and beat until smooth. Add 1 tablespoon of Chocolate Almond Milk and continue to beat. Add remaining icing sugar, cocoa powder and 1 tablespoon Chocolate Almond Milk. Finally, add hot coffee and beat until smooth and creamy. Transfer frosting to a piping bag fitted with a large round tip. 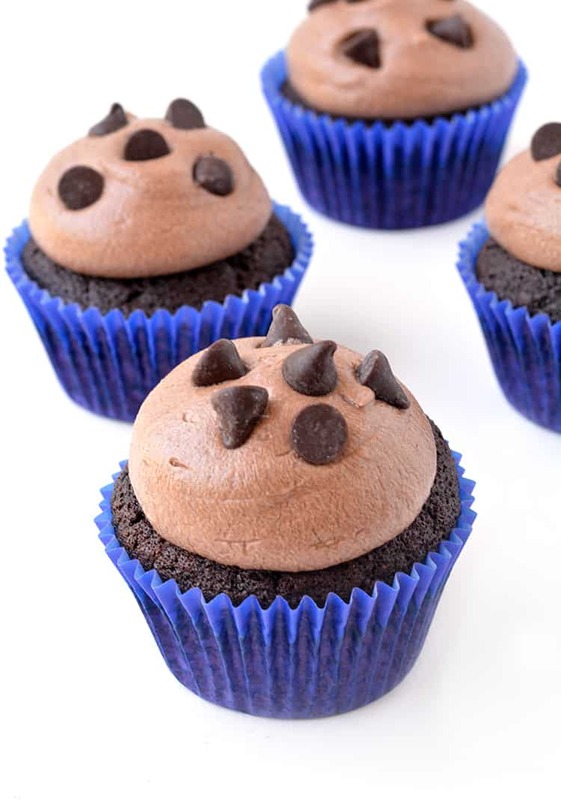 Pipe frosting onto all 12 cupcakes and decorate with chocolate chips. I added 1 teaspoon instant coffee to 1/4 cup hot water. The coffee taste is mild, if you would like a stronger flavour of coffee, add 1 tablespoon instant coffee to 1/4 cup hot water. 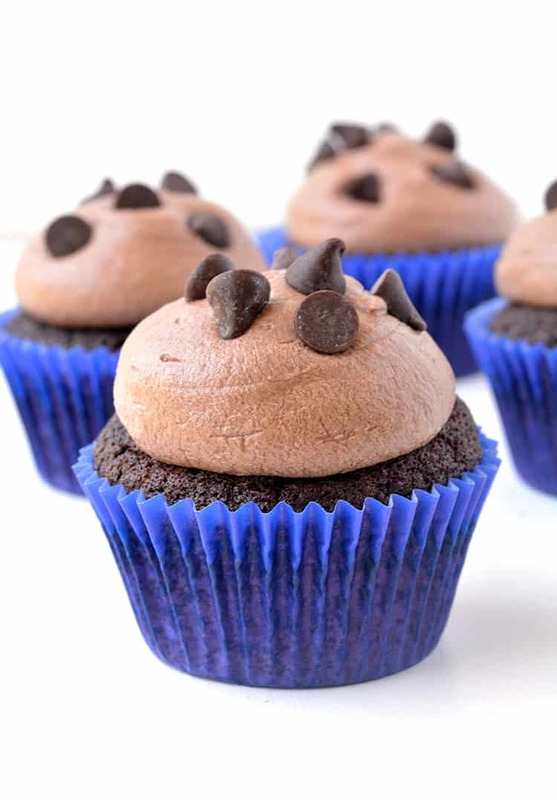 These cupcakes look incredible and so tasty!